Slaughtered Rhino :(. Please respect rhinos..this one was killed alive ! :(. Wallpaper and background images in the Against Animal Cruelty! club. ...gross..the place where his horn used to be looks like burnt,gooey marshmellow *looks away* So sad!! @ilovecornholio I agree with you! 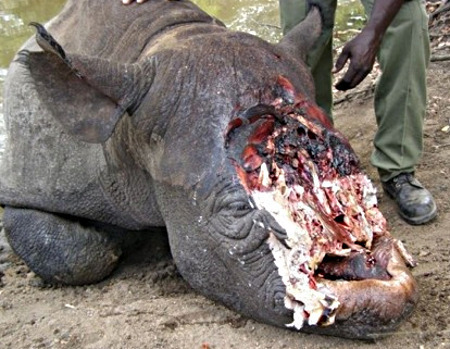 WE SHOULD PUT A STOP TO ABUSE AND POACHING THIS POOR ANIMAL DIDNT ASKED TO BE POACHED! Why are humans so stupid and cruel? !